BMW K1200RS exhaust in Titanium K1200GT EXHAUST SYSTEM PRE 05 Titanium Ztechnik Z4020 Full system from the headers to the muffler. Save 27lbs. off of original stock system while increasing horsepower and torque. Adds a distintive growl to the sound of the system. No chip needed. Fuel Injection system adapts to new system. 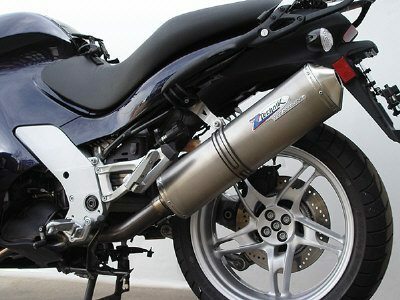 Titanium Muffler with Stainless Steel headers pipes.